Founded in 1995 by Erik Ney and Jeff King, the success of this vision would require the perfect blend of personal, creative, and musical elements. This blend was achieved through the additions of Joe Daub and Mike DiDonato. While the music was initially written as instrumental, the members believed that by adding the right vocalist they would be able to reach a broader market. It wasn't until December of 1997 that Anna DeRose was found as the voice that would complement their sound. 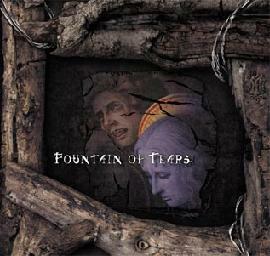 Although the success of their former bands, Believer, Sacrament and Sardonyx had won them world-wide recognition in the thrash and metal genres, the members of Fountain of Tears had not fully tapped their musical potential. Like many groups consisting of talented and driven individuals, dedication to the project was tested through periods of hardship and uncertainty. Family commitments, careers, school, circumstances of life and conflicting schedules prevented the members from meeting more than once per week, and set-backs had considerably lengthened the writing and recording process. Final editing and mastering for the album was completed in early 1999, and the band, relieved and somewhat exhausted, held a listening party for a very enthusiastic audience. 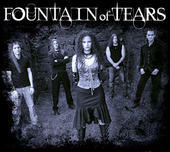 Fountain of Tears released their second album - Fate on February 13th and is currently preparing for live performances.